Francis Cartland was born in High Barnet, London on 3rd August 1893 to parents George and Edith Cartland, nee Hammond, the youngest of seven children. George Cartland was a policeman who in 1899 took over as licensee of the Six Bells public house in Thame, Oxon, where he stayed until 1922. Both George (1925) and Edith (1920) were buried in Thame. Francis joined the Royal Navy “Boy” service on 16 Dec 1907 when he was only 14 years of age and telling the Navy that he was born on 3rd August 1891. He served as a “Boy” on training ships President, Ganges and Cressy and then as an Ordinary Seaman on HMS Illustrious in1910 at age 17. He quickly gained promotion to Able Seaman and served on many ships including; Attentive, Excellent, Topaz, Minerva and Princess Royal. 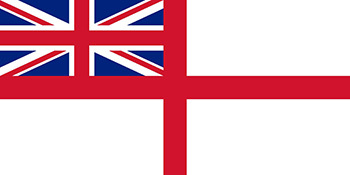 In January 1916 he was posted to HMS Dolphin at Gosport which was the submarine base and training school and then to the submarine depot ship HMS Lucia. He returned to Dolpin in December 1916 for training with submarine E49. Also in late 1916 he married Ada Elizabeth Rogers in Devonport, Plymouth, Devon. He was aboard HMSub E49 which was leaving Balta sound in the Shetlands on patrol when it hit a mine and sunk with the loss of all hands on 12th March 1917. The minefield had been laid in the channel between Balta and Huney Islands off the Island of Unst by the German U-boat UC76 two days before. 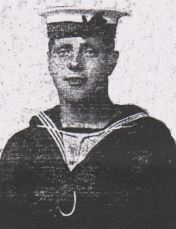 366403 Able Seaman Francis Cartland, Royal Navy, HMSub E49, died on 12th March 1917, killed when the submarine he was aboard hit a mine. 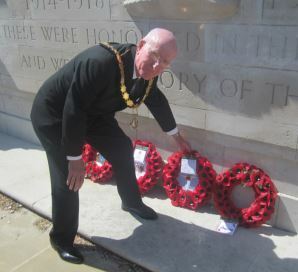 His name is commemorated on Portsmouth Naval Memorial and in Thame he is remembered on the town war memorial and on both St Mary’s and All Saints church memorial boards.